We're proud to have received the Angie's List Super Service Award five times in the past six years. 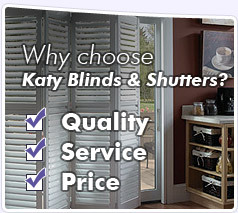 Thank you for visiting Katy Blinds & Shutters. 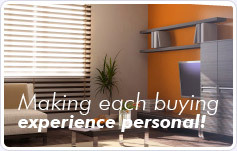 We've been proudly serving the entire Houston metropolitan area for over 10 years, and want you to think of us as your Greater Houston Blinds Company. We offer the latest window covering solutions including expert consultation, measurement and installation for both Residential and Commercial customers. Call or Contact Us today and we'll be happy to answer your questions and set up a free, in-home estimate that is convenient with your schedule. An experienced window covering professional will help you determine which products fit your needs, take precise measurements, and leave you with a no-obligation, written quote, all in the comfort of your home. Architects, contractors, building owners and designers, please visit our Commercial Window Treatment pages. 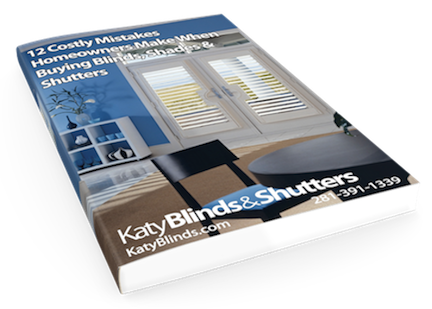 Thanks again for visiting Katy Blinds & Shutters. We look forward to serving you. Please Contact Us at 281-391-1339 to setup a free in-home estimate today!